There have been a few articles in recent weeks about how vegetables can be used for creative, rather than merely digestive, purposes. 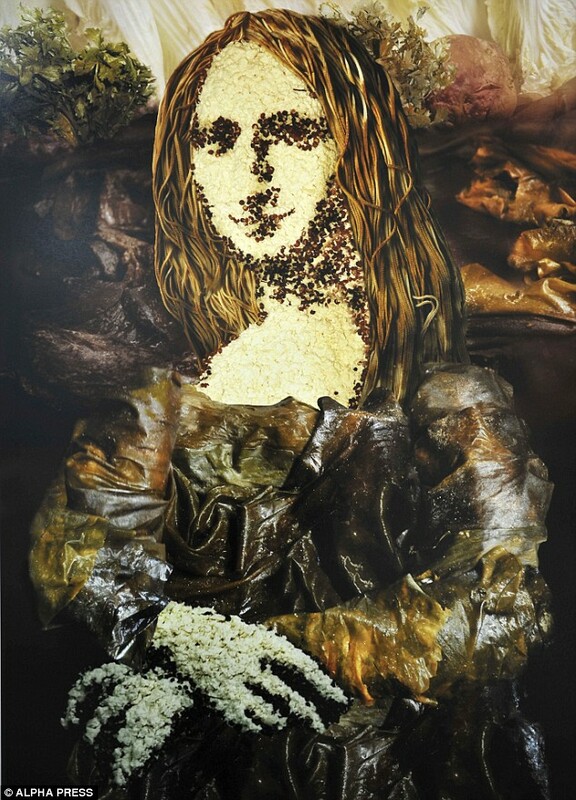 An English artist, Carl Warner, draws rough sketches of his artworks, then uses vegetables and other foods to create them. Click the pictures for a larger view. Field of dreams: The countryside landscape has broccoli for trees, potatoes for rocks and basil and herbs for the grass. The path is made from nuts, while the basket is bread with a mushroom wheel. 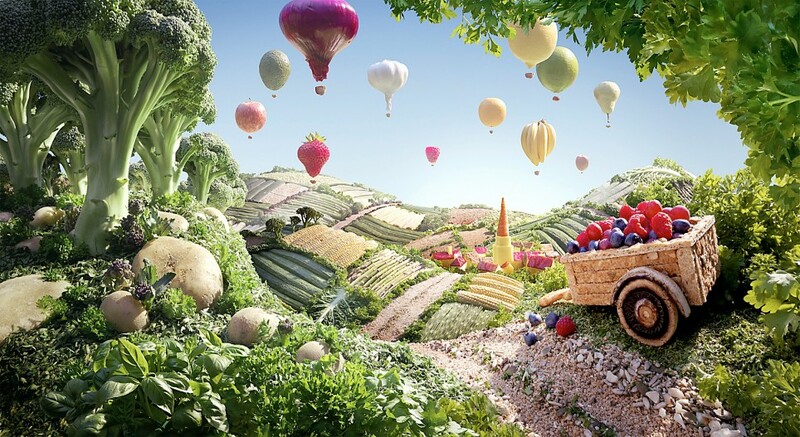 The balloons were crafted out of apple, mango, a strawberry, bananas, garlic, lemons and a lime. 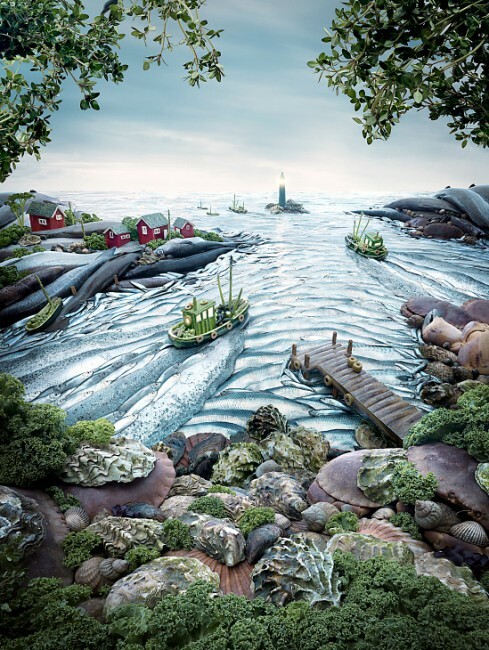 Gone fishing: Only sustainable fish were used to create this seascape, including oysters, scallops and crabs in the foreground, mackerel and herrings for the sea itself, and pollock and sprats for the banks. Thyme stands in for trees, while the boat is a marrow with a mangetout mast. 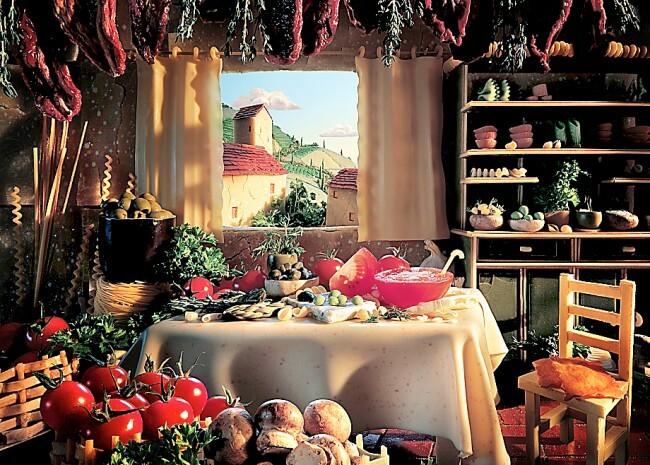 Pasta master: This Tuscan home is full of tasty treats, such as fresh pasta curtains and tablecloth, bowls made out of fresh tomatoes and walls created from fresh Parmesan. More of her work may be seen here. Finally, on a less artistic and more scientific note, Owen Louis of Portsmouth, England, claimed that he'd managed to power his iPod by plugging it into an onion soaked in Lucozade! This inspired satirist Jonathan Margolis to have a go at it himself. ... I didn't have a lab coat to hand, but I do own plenty of electronic gubbins, so out came the soldering iron, wire strippers and multi-test meter, which I use occasionally to mend stuff. Not very successfully, I might add. First, I had to butcher an iPod charger lead to establish which two of its several wires carry the current to power up the iPod. It would be no use applying the mighty power of the onion to the bit of the device where the music goes in. Apart from anything else, if the onion did push out any power, should I apply the volts to the wrong bits, it would probably blow the iPod's - or in my case, iPhone's - delicate circuits. Next, the task was to secure a supply of copper and zinc bits to stick in the fruit. I got copper and some zinc nails in Homebase, but they were only zinc and copper-plated, so when I set up my first test battery I could squeeze only a barely measurable fraction of a volt from even a lemon, which is the most common source of fruit power. I eventually located pure zinc and copper bits in a children's chemistry set. I also bought a large number of onions, plus lemons, oranges and apples in case of onion failure. Young Owen's Lucozade detail posed less of a problem supplies wise, though none of my scientist friends with whom I discussed the experiment thought it would make any difference. The notion even occurred that the whole of this week's onion-in-Lucozade-powering iPods story might be a cleverly conceived marketing stunt to make us associate Lucozade with energy. Perish the thought. So to the test. Not since the giant Cern collider was turned on in Switzerland can there have been as much tension around a scientific experiment, although mine was mostly because I had by then spent almost a whole day getting my zinc and copper bits and didn't fancy discovering I'd wasted my time. I started, Owen- style, with a single Lucozade-soaked onion and used his method of simply sticking the ordinary iPod charger lead into it. Not a volt to be seen. I then did a test run with a lemon and the proper zinc and copper connections, one piece of each metal stuck into the fruit, just to make sure the principle was correct. Bingo. When I connected the meter, I got half a volt from a single citrus. That must be why electricians call electricity juice, I thought. On to onions. Out of respect to Owen again, I continued the apparently pointless Lucozade bath procedure and connected my first soaked onion. Amazingly, it kicked up more than a lemon on my meter - almost an entire volt. By the time I'd connected eight onions together, it wasn't so much bingo as 'eureka!'. Five volts, the holy grail of iPodery. I even cried, but that was probably just the onions. I then connected up the whole, increasingly smelly, apparatus to the iPod lead I'd butchered. By then I had deliberately run down my iPhone to complete flatline battery dead level. Even when you pressed the 'on' switch for several seconds, there wasn't a peep of life in it. But connected to my onion battery, the screen began to glow faintly and indicate that, yes, it was charging. It doesn't do so for long - five to ten seconds at a time. And the onions do wear out rather quickly. I might have to try a few more varieties before the technology is quite there. It had been one of those science experiments which has absolutely no practical use at all, just the kind that old Mr Clayton liked. I don't quite see fruit-and-veg power becoming a viable way of keeping the DVD going if the end of the world comes and the power goes out. But the principle is rather glorious, isn't it? 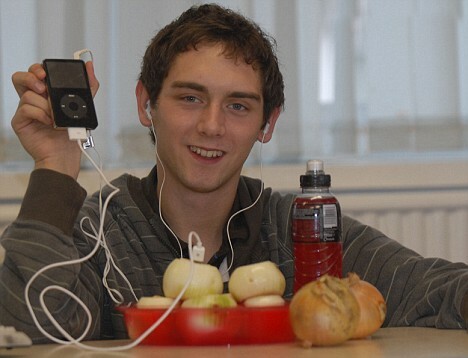 You can charge an iPod from onions. Not very well, but it's possible. And with a few hundred, you could almost certainly charge your phone completely. And here was me thinking that vegetables were for eating! 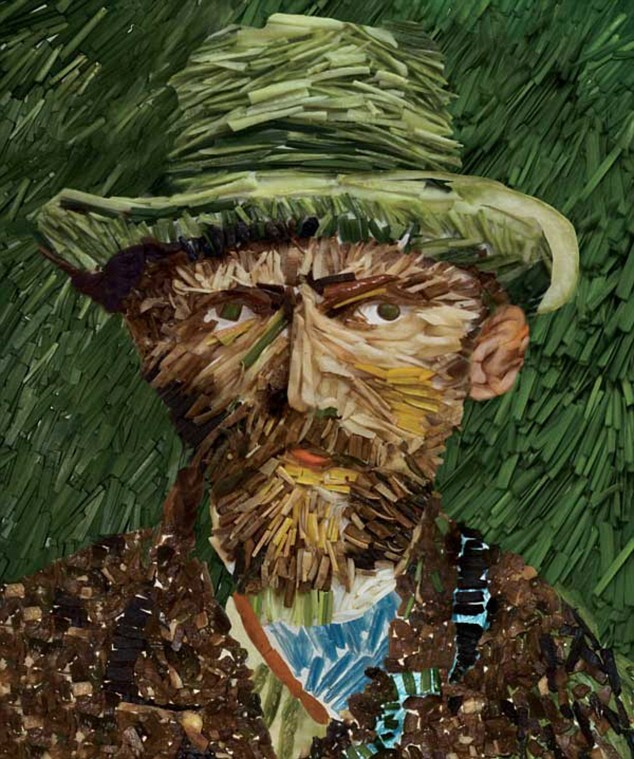 Amazing what creative minds can do with them.